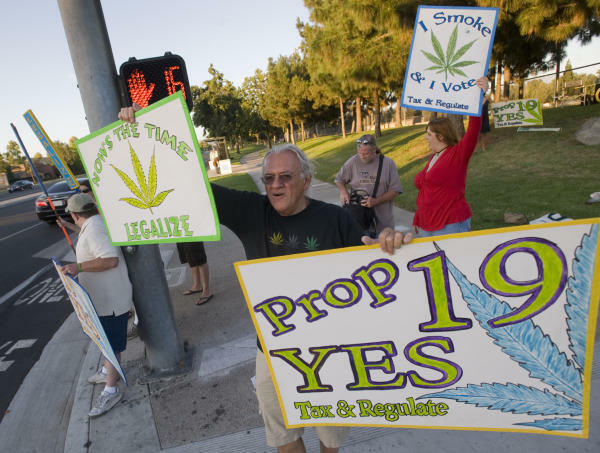 There’s a proposition to legalize (and tax) marijuana on the California ballot in November, and the California Beer & Beverage Distributors don’t like it one bit. In fact they’ve donated $10,000 to Public Safety First, a committee created to oppose the measure. In doing so, they may have alienated a pair of their largest members. Both Stone Brewing and Sierra Nevada belong to the CBBD, and both want nothing to do with the attempt to defeat Proposition 19. I guess it makes sense for the California Beer & Beverage Distributors to move to prevent marijuana from stealing a bit of its market share, but it shows a lack of understanding of who its members are. I’m not suggesting that brewers are potheads, but many are free spirited folks who left the corporate world so they didn’t have to deal with this kind of heavy-handed crap. They are also probably sensitive to any act of “prohibition,” even those that are aimed at other industries. Besides, I think marijuana poses a bigger threat to the pharmaceutical and spirits industries, both who would probably suffer a much larger bite out of their market share. It’s easy to imagine folks smoking a little pot at home and having a beer versus doing the same and then slamming a couple of gin and tonics. Beer and pot are almost complementary to each other. Or so I’ve heard. Anyways, this is a hotly contested and very complicated political issue and Ryan Grim over at the Huff Post does a great job of unraveling it. Check out his post if you want to see just how juicy this battle has become. Citizens wanting taxation and regulation. What next? Big boy pants, I think. Good for Stone and Sierra Nevada! Legalization of Marijuana is way overdue. I agree. It’s stupid that marijuana is illegal – it costs way to much to fight and it’s relatively harmless. Just look at all the people hooked on pharmaceutical pain killers. Folks will find a way to ruin their lives with drugs whether or not they are illegal. At least pop isn’t addictive. Can’t say the same for codeine. Last time this came up, the Prison Guards Union opposed it because it would mean less overtime to watch all the folks in jail on pot charges. This time it’s the same sort of deal with most of the opposition driven by financial needs, not moral outcry. Majority, if not all of the stupid laws and regulations in our fine country are rooted in someone’s financial interests. It’s just going to get worse before it gets better. Even if this legalization thing goes through, the federal govt will most likely overrule it…. Even though the whole point in having individually governed states to begin with was so they could run themselves…. New Jersey is a great example of special interest running the government. Try to open a brewery with a restaurant attached here and you’re out of luck. Just one example of all sorts of nonsense on the books designed to line someone’s pockets. Depending on how long it takes, you might want to get some new ones before you smoke ’em!